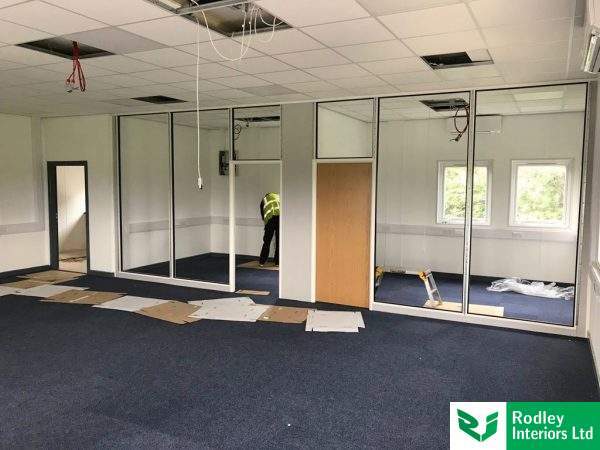 Rodley Interiors were awarded the contract to install office partitioning to the offices at Leeds United Football Club’s academy and training ground. The works are now well underway creating offices that will be modern and practical for our client. We are installing a Tenon Fire and Sound partitioning system with a white framework finish. The Aluminum partitioning is demountable and a clever solution for an evergrowing office space. Demountable partitioning systems can be taken down and relocated to suit changing requirements of a business. Our client was keen to maximise on light whilst still allowing for privacy. We achieved this by fitting double glazed windows throughout the partition walls. The floor to ceilng heigh glazing allowed for maximum light to flood into each office, then to enable privacy we fitted integral blinds. With a ceiling height of 2850mm glazing is an ideal way to get the most out of the space. The glazing modules ensure the office appears larger and brighter. 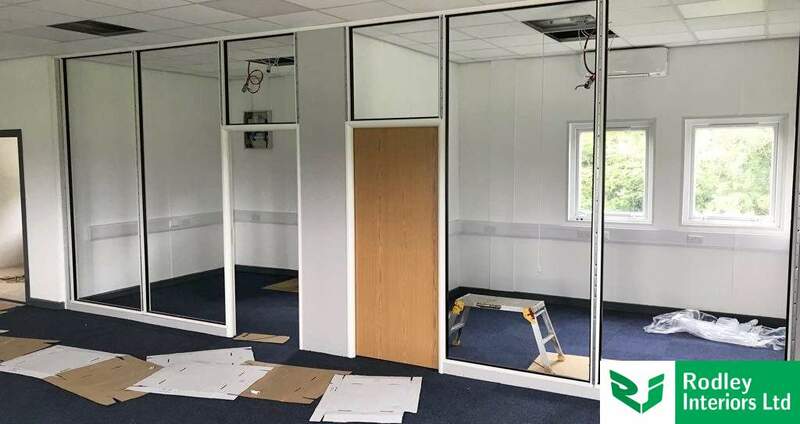 We are currently fitting Oak office doors which will complement the white partitioning and are cost effective yet quality option. The solid partitioning modules will be finished with cover trims over the joints giving a seamless and tidy finish. The works are on track to be completed within a specified time frame from our client. For more information on this project do not hesitate to contact us on 0113 2819595. 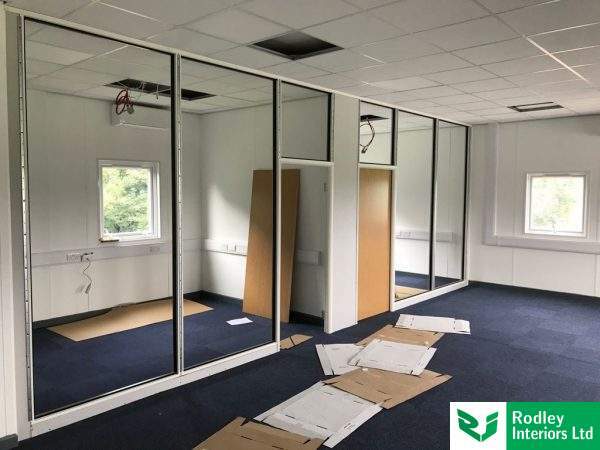 Case Study: Office Partitioning with Glass An eye-catching glass partitioning installing to a new Wakefield office space, to create training areas and offices.